What if you could combine years of experience, tech savvy trendsetters, and fresh custom details to make the design of your dreams? You can, and you will. Lori Wiles Design is an Iowa-based design firm taking "Midwest is Best" to a whole new level. This powerhouse team of designers takes your wants, finds your needs, and combines them to not only look amazing, but look like you. You need designs built to impress, but functional enough for you to live, grow, learn, and love for years to come. LWD doesn't try to find a style that fits, but instead creates a design that's authentically you. "See" what it will look like BEFORE making the investment! Want to change your home's exterior virtually? Need to spruce up your front entry or need new windows, doors, paint color, siding or roofing? PELLA DESIGNWORKS - an EXTERIOR VISUALIZATION SERVICE helps you see your project come to life - with DesignPro advice, photorealistic renderings and a free quote from a certified contractor. Start your visualization journey today! We founded JSR Construction Inc in 2011 as a family-owned business, with the aim of providing superior customer service and quality workmanship to our clients. We especially value the relationships that are formed as we help others realize their vision and build their dream homes. 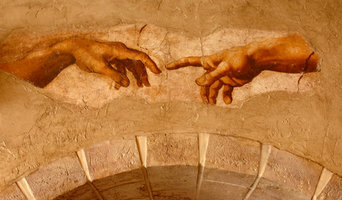 Our clients find us trustworthy and easy to work with as we move through the building process. You can feel confident hiring us, knowing that we always go the extra mile to ensure that our clients are happy with their projects. We look forward to hearing from you! 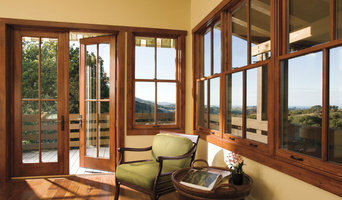 Discover the inspired design of Pella Windows and Doors. In the small Dutch Community of Pella, Iowa in 1925, Pete and Lucille Kuyper invested in a newfangled invention – a window screen that rolled up and down like a shade. The couple went on to found a company based on the principles of traditional American values, integrity and the desire to enrich the homes and lives of others. Today, Pella Corporation is still owned by the Kuyper family, and continues to be a leader in technology and product innovation. In fact, we've been awarded more than 150 product and design patents. And the team at Pella is as committed as ever to continuing the company's proud heritage of building innovative windows and doors. At Concept to Creation we do exactly what our name suggests, starting with custom designs of new homes, additions, and remodels. We can even present you with detailed 3D renderings so you can see it before you build it From our expert knowledge and advanced building techniques employed by Concept to Creation, a licensed and insured general contractor, to our quality building materials and constant attention to the most minor details, we take pride in creating your supremely built dream home. Now customize your home with features and designs that perfectly fit your unique lifestyle and needs. Your individual dream home is what Concept to Creation creates with unparalleled quality and timeless design that allows your dream to be appreciated for generations. Give us a call or message today to learn how we can partner with you on your next project! Design a home that serves you from the inside out. Alex Von Ahsen has been an interior designer for over ten years.. The key is the relationships and getting to know the client.. My technical expertise complements an approachable, hands-on style and meticulous attention to detail. Alex earned his Degree in Interior Design in 2009. Prior to working at Phelan's he was the Store Manager and In-Home Designer at Interior Elements. Alex has earned many prestigious honors, including being a finalist in the Norwalk Furniture Design Star contest, consecutive years as a Best of Houzz , 2012-2018 and has had his designs featured publications, Elements, Home and Garden and Gallery of Homes.. For Alex, being a designer is all about the relationships he makes with his clients and other design professionals. He feels strongly that getting to know the client's style preferences and personalities helps him to create unique, beautiful spaces that make the client feel at home. He helps guide clients through the process of finding all the perfect elements that fit not only the look but also the functionality of every lifestyle. Splash Pool & Spa Builder’s swimming pools are known to be unique in design and functionality. There are so many options for a swimming pool that can turn it from simple into spectacular. The pools we build are professionally designed starting with a thorough assessment of your yard space and surroundings. We account for the look and feel of your home. We account for the changes in elevations as well as the existing landscapes. The swimming pool we construct is made of some of the best materials available. Our pools are built to last a lifetime. Our team uses a high-tech blend of concrete and steel to form a shell of incredible strength. With this solid foundation, we enhance the shape with a well thought out selection of colors and materials to create a look and feel that is beautiful from the inside-out! Splash Pool & Spa Builders swimming pools and spas are known to survive the test of time. Our in-ground concrete swimming pools are custom designed, engineered, and built to fit into the earth and surrounding structures. This type of swimming pool is typically built by excavating out the earth in the general shape of the pool design. Forms are then created to guide the steel and concrete to eventually become the pool shell. A pneumatically applied concrete is cast in and around the steel framework to create a unique, custom shaped swimming pool shell. Once hardened, a select blend of tiles, stonework, decorative concretes, and other finishes are added to produce a completed look and feel to the pool. Additional options such as water features, fire features, tanning ledges, lights and water purifiers are just a few variables to enhance the functionality and beauty of the pool. 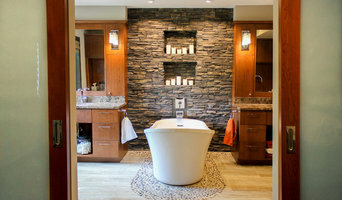 Spas can be integrated into the design to allow for a heated hydrotherapy soaking space. A dedicated circulation system for filtration, heating, and sanitizing is built in to keep the swimming pool clean and operational year round. Pools are used for many reasons, including recreational swimming, competitive training, rehabilitative therapy, stress relief, lifestyle enhancement, visual aesthetics, at-home entertaining and more. Contact Splash Pool & Spa Builders today for a free professional consultation. Armed with a creative design and a complete, detailed proposal, your pool buying experience will be simple and exciting with Splash Pool & Spa Builders. Apple Blossom Staging & Design is a home staging and design company proudly serving Cedar Falls, Waterloo, Waverly and surrounding areas in the Cedar Valley. Whether you’re a seller who wants to earn top dollar for your home, a real estate agent looking to revamp your listing, or a homeowner who needs help maximizing or redesigning a room, we’ll help you achieve the look you desire. Since 2018, Apple Blossom Staging & Design has been providing outstanding home staging, redesign and E-design services that maximize value while capturing the spirit and personality of clients and creating a space they love. With over 20 years of experience, Homes by Hamilton is a General Contracting company catering to jobs of all sizes. We strive to bring our clients superior craftsmanship that they will be proud of. We maintain strong relationships with our sub contractors so that we can provide a wide variety of skills for our clients needs. If you are thinking about completing a small bathroom remodel or wanting to start your dream whole home remodel, put your trust into the professionals at Homes By Hamilton. Licensed and Insured. We look forward to building a lasting relationship through honest and open communication! Reach out to multiple professionals — especially for larger projects — and don't settle for the first quote you receive. Comparing multiple Tama, IA professionals' quotes and experiences can help you find the one that’s best for you. Ask a lot of questions now, so you won't have unexpected answers later. Find a home design professional on Houzz. Narrow down your search by type of professional and location. 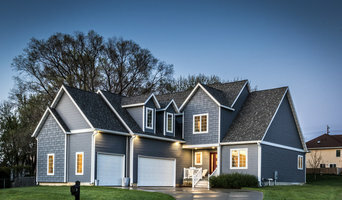 Browse Tama, IA portfolio photos, read client reviews and contact each home improvement professional for more information. Check out the information in the specialised professional sections too for tips on how to hire the right professional for your project.